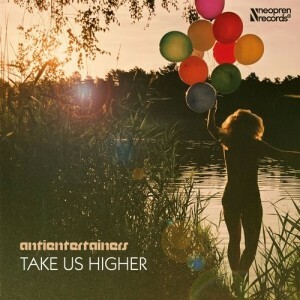 For the start of the year and at the zenith of the gray winter, Antientertainers came up with their newest release: the EP “Take us higher”. Along with the title track, they take you back to balmy summer nights or dreamy winter evenings by the fireplace. The new song “Take us higher” lets you groove in the usual and seductive Antientertainers style. The two remixes by Steve Cole and the guys from Traumzustand will guarantee swaying hips on the dance floor. The EP is rounded off by the pop anthem “Forever Young”, which gives you power for the new year and pushes you in the heaven of pop. Every couch potato will be forced to jump.